MSLGroup is to combine its CNC and JKL agencies into one entity as part of a move by the Publicis-owned PR group to further align its operations. The new group will operate under a single P&L, with a combined global team of around 200 people and 13 offices in nine countries. JKL partners Per Ola Bosson, Maria Grimberg and Anders Lindberg will join CNC’s global partner group, reporting to CNC CEO Bernhard Meising. CNC and JKL don't operate in any of the same countries, so their existing names will be retained in the different territories. It is understood that there aren’t any client conflicts between the two agencies, which already work together under the MSLGroup umbrella. Stockholm-headquartered JKL will retain its name across the Nordic countries where it operates. Founded in 1985, it specialises in corporate and financial comms, plus public affairs and crisis comms. In January 2015, MSLGroup’s London-based Capital MSL was merged with Communications Networking Consulting (CNC) of Munich, to create the current CNC business. The corporate and financial PR specialist operates 12 offices across eight countries, representing clients including BP, Bayer, Mars and Eon. It has been representing French car giant PSA for its £1.9bn (€2.2bn, $2.3bn) acquisition of General Motors' European operations. The change is part of a move towards greater collaboration within MSLGroup. Guillaume Herbette, MSL global CEO, said: "The combination of CNC and JKL is among the latest of a series of important operational moves we have made to align our businesses so we are in the strongest possible position to meet the evolving needs of our clients. The better aligned and more collaborative operation we have been creating for nearly two years has already been showing considerable impact to our bottom line." Grimberg said: "There is a strong cultural fit between CNC and JKL and a good track record of working together to solve our clients’ business challenges. Together, we offer a more global platform that combines deep experience with innovative and digital communication solutions. We strongly believe that this new platform will be compelling to clients, as well as to the top talents that we want to continue to attract." Earlier this year MSLGroup promoted Peter Steere to EMEA chairman. 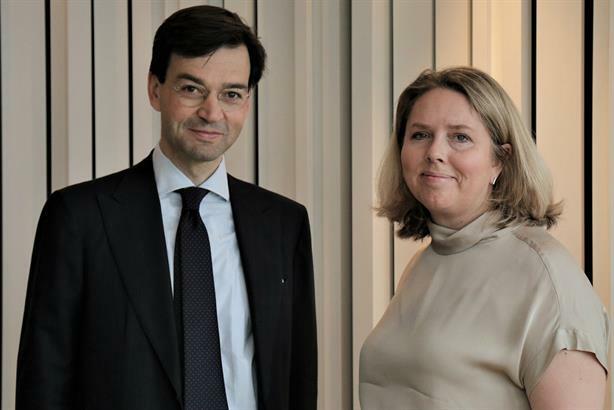 At the time, Herbette said Steere would "build on our success in driving collaboration and integration of our business with our Publicis partners", including a move to "coordinate and streamline our offer". Last year Publicis restructured its business model by breaking down its disciplines into four "solutions hubs" with each client led by a chief client officer. The holding company recently reported revenue of €655m ($704.4m) in Europe for the first quarter of the year, up 3.8 per cent compared with the same period last year, and boosted by growth in the UK and France.